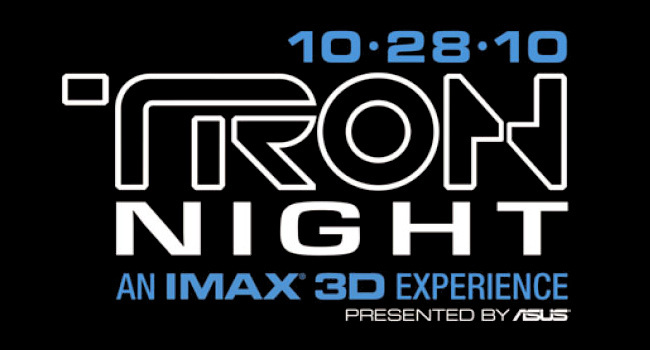 Following in the footsteps Avatar and Toy Story 3, TRON Legacy got the preview night treatment in an effort to showcase the awe-inspiring effects of the film, give those unfamiliar with the story a peek into the plot, and hopefully build strong word of mouth a month and a half before the film comes out. Last night Disney screened about 23 minutes of footage of the upcoming compufest in select 3D IMAX theaters across the country, Honolulu being lucky enough to garner a screening. Not being a major market, the turnout in honolulu did not reach epic proportions as other preview night screenings did. However, fans seem to echo the same general sentiment from those across the country . . . TRON Legacy looks pretty good. Here’s a breakdown of some of the scenes that stood out to me . . . In the first scene of the preview Sam is seen coming home to his apartment. The main bulk of this scene sets up the current background of the characters . . . Sam is all grown up and reckless and comes home to meet Alan, his dad’s former business partner who wants Sam to take responsibility as well as the helm of his father’s business. However, what I liked about the scene was what Sam’s apartment was made out of–shipping containers. There were a bunch of them stacked on top of each other and hollowed out to create his apartment. Upon discovering a hidden workroom at his father’s arcade, Sam finds himself being sucked into The Grid. Upon arrival his is captured and put together with other rogue or delinquent programs. This clip introduces us to the world of the grid and some of the many protocols and procedures programs must follow in order to survive. Of course not being of the Grid, Sam is formatted so that he can be apart of this new environment. Since Sam has already entered the Grid, he has already been digitized, but now he becomes fully integrated when he receives new clothing as well as his own disc. All of a sudden Sam is dumped into an arena where his is pitted against someone else and must battle each other to the death by using their discs as weapons. The enclosed space they battle in allows the combatants to ricochet their discs off the walls and holds other pitfalls as well so you definitely need to be on your toes. It was during this sequence that I was officially sucked into the preview. I began rooting for Sam and was thinking of strategies that he could use to win the game. In the final scene of the preview we find out that Quorra is Flynn’s apprentice and arranges the reunion between father and son. It is definitely an emotional moment for both of them, but it seems cut a little too short as Flynn breaks away and longingly looks back to the city. It was during this scene that a bunch of questions began popping up . . . what happened to Flynn? How did he come to be back in the Grid? Will Sam be angry with his father? How can they escape The Grid get back out to the real world? The preview ended with a montage of scenes from the rest of the movie and definitely sets up a tease of what else is to come. In the end, I’m going to say that for our small preview screening here in Honolulu, the goal of the preview was definitely met. Almost everyone around me was impressed with the visuals and definitely wanted more. For me, the biggest thing that I took away from the TRON Preview Night was that I bought into the film. I wanted to know what the backstory was so that I could understand some of the history these characters have as well as some of the structure of The Grid. I was also taken in by the action of the games. Obviously the light cycle battles are a hallmark of the original TRON so showing the disc duel definitely was an interesting (and bold) move since people wouldn’t know that as well as the lightcycles. However, this sequence was no less action packed or spectacular in it’s own right. Finally, I wanted more of the story, especially when father and son reunite. What happens next? 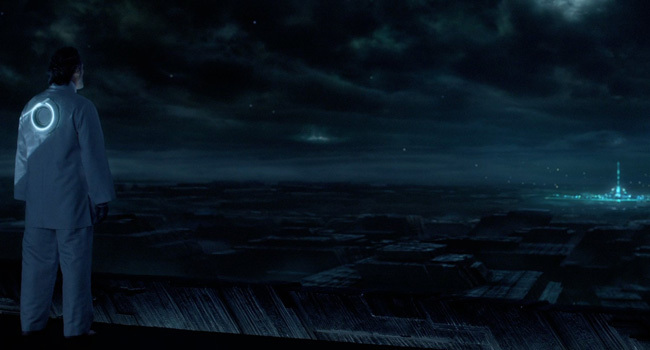 We’ll just have to wait till TRON Legacy is released in theaters on December 17.